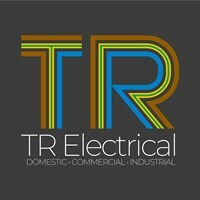 TR Electrical - Electrician, Renewable Energy based in Torquay, Devon. Tristan qualified as an electrician in 1998 during his time in the Royal Engineers. He subsequently served in both Bosnia & Kosovo working on both British Forces bases & helping the local community rebuild the infrastructure. On leaving the British Army in 2001 he joined a Torquay based electrical contractors & worked his way up through the ranks eventually becoming Service Manager & helping to build the business even further. In 2010 Tristan decided to leave & set up on his own knowing that his vast knowledge & experience would help him to create a company that can offer supreme customer service, competitive pricing & work that is carried out to the highest standards. In 2016 Tristan's wife, Sara, joined the company to take over the administration side of the business, this has enabled the company to grow further & provide even greater customer service.